This girly children's watch from Timex is the perfect first watch for any little girl. Complete with pointers to help them learn how to tell the time on an analogue clock this fun kids' watch, featuring a purple plastic case with a fabric flower print strap, is both cute and comfortable. 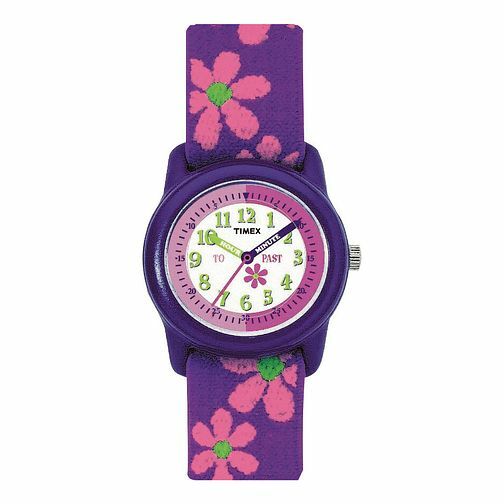 Timex Teacher Girls' Flower Fabric Strap Watch is rated 5.0 out of 5 by 1.